The Japan National Tourism Organization has released a set of beautiful photographs under the theme “The Hidden Beauty of Japan”. 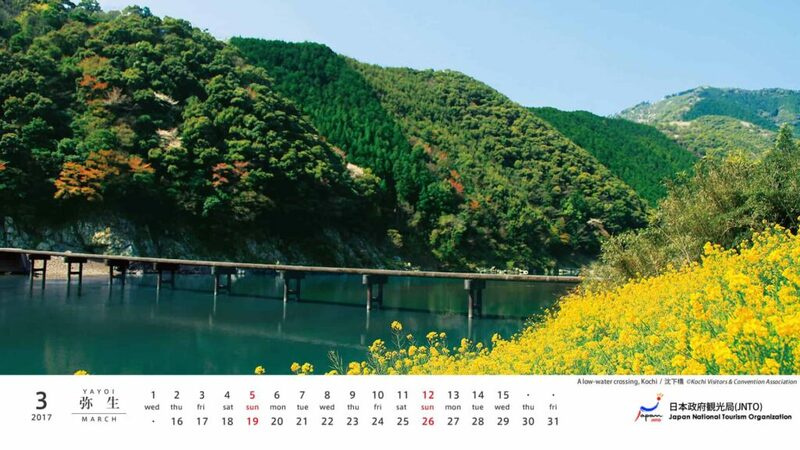 The set of 12 photographs is released in the form of a calendar in various desktop sizes and features hidden landscapes all over Japan. Being march-born I must say I have taken a special liking to “A low-water crossing, Kochi” but every picture is quite amazing especially the ones in the fall. glad you like it! Nice, March ppl are the bestest!